Public Sector Advisor in infrastructure. Private Sector Advisor in infrastructure. Health. Energy. One of the leaders in the Public Private Partnership (PPP) market in terms of number of deals signed in France. € 4.5 billion invested in 17 infrastructure projects since 2007 (investments in various infrastructure sectors: energy, highway, tramway, hospital, university, stadium, sport, IT, renewable energy). Deep understanding of African Public Bodies (20 years of experience). 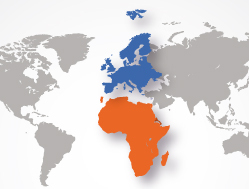 More than 90 investment projects studied in Europe and Africa and 20 in the agricultural sector. Edifice Capital Group advises governments and public entities since a long time on their investment’s strategy in infrastructure. Edifice Capital Group is also dedicated to advise private sector on its investment strategy, especially in the energy sector and health infrastructure. Edifice Capital Group provides an enhanced ability to identify and execute agricultural projects in Africa. Olivier Stintzy, Partner of Edifice Capital Group, attended the Conference on “PPPs in French-speaking Africa: Challenges and Opportunities” hosted by Eversheds Sutherland, CIAN and Business Africa in Paris on June 29th.